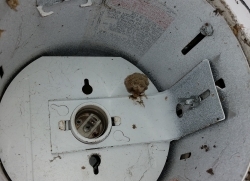 Turner “No-Pest” Light Covers guard recessed lighting fixtures from invasive pests of all kinds and make the ideal, functional addition to any area where great lighting is welcome but pests are not. Customers across the country are delighted by the easy-to-install design of our unique patented light covers. The versatile trim rings of Turner “No-Pest” Light Covers can be painted to match the decor of patios, walkways, eaves or any other surface. Don’t let this happen to you! 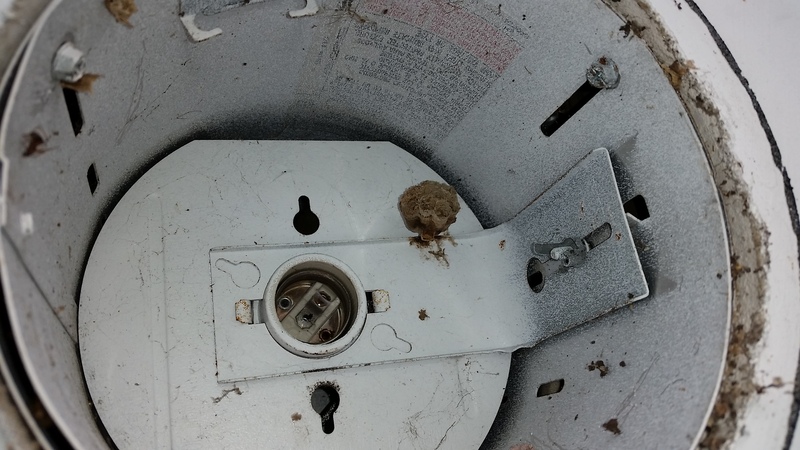 The pictures below show how unprotected recessed lighting fixtures are vulnerable to infestation by wasps, mud daubers, bats, scorpions and other pests. 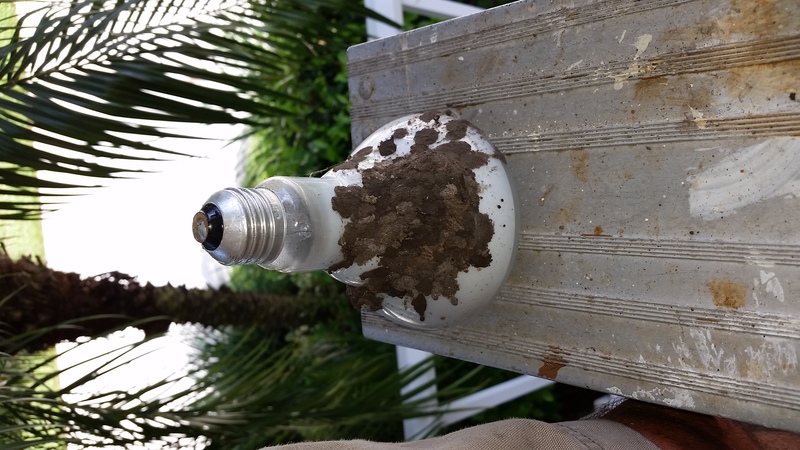 Infestations are not only unsightly but also can result in frayed wires and fire and shock hazards. 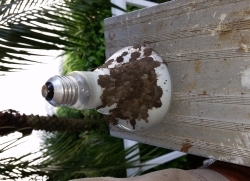 Turner Light Covers makes safeguarding your recessed lighting fixtures a breeze with no-pest light fixture covers that keep out pests of all kinds. Our covers can be installed over recessed lighting in porches, patios, eaves, ceilings and any area you want to keep free of pests. Turner Light Covers is based out of Springdale, AR and serves home and business owners nationwide.